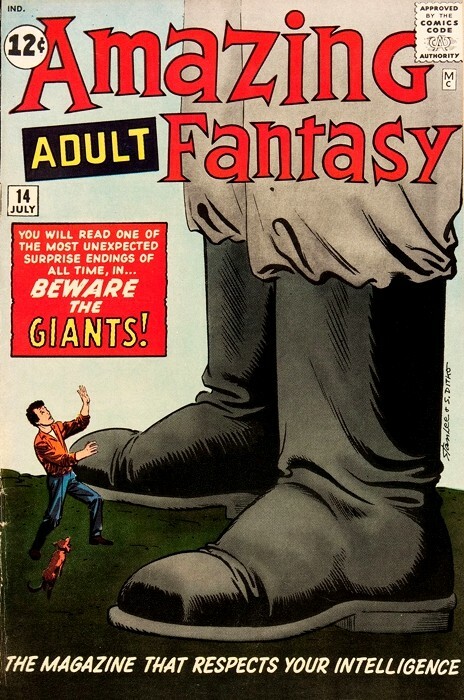 Amazing Adult Fantasy (1961) -14- Beware the Giants! Titre : Beware the Giants! Info édition : Contient les récits: Beware the Giants!, The Man in the Sky!, What Happened in the Wax Museum?, Footsteps at Midnight! et Ozarr, the Mighty!